Parallels Workstation enables users to run multiple operating systems, including Windows, Linux, FreeBSD, OS/2, eComStation, Sun Solaris and MS-DOS, simultaneously on one physical machine without partitioning or rebooting. Parallels Workstation for Linux - Parallels Workstation enables users to run multiple operating systems, including Windows, Linux, FreeBSD, OS/2, eComStation, Sun Solaris and MS-DOS, simultaneously on one physical machine without partitioning or rebooting. Parallels Server for Mac - Parallels Server for Mac is a powerful and easy-to-use virtualization solution that provides the best value for organizations to standardize and optimize their IT infrastructures. Gospel Parallels - Gospel Parallels is a side by side New Testament Bible tool. All 4 gospels appear on your screen side by side for easy reading, scrolling, word search and studying. Includes a notepad, chronological index & instant parallel passage matching. WorkStation Lock - WorkStation Lock provides simple and effective security to password protect your system at startup or on demand without involving a screen saver. 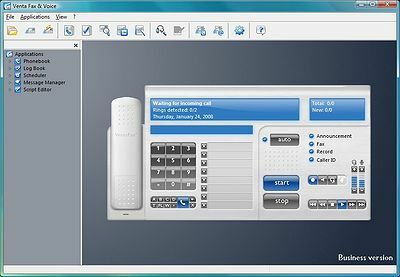 It is easy to configure and requires no modifications to your current system configuration. iModem - Use your iPhone as USB modem for your Windows laptop or workstation. Works with: GPRS, EDGE, 3G, Wi-Fi incoming signal, etc. You need only a USB-cable; Automatic installation of the program on iPhone. Public PC Desktop - Setup an Internet kiosk or a public access PC; disable access to vital files and allow only necessary applications to be run including Internet Explorer. The program is ideal for public libraries, Internet cafes, information terminals or kiosks.